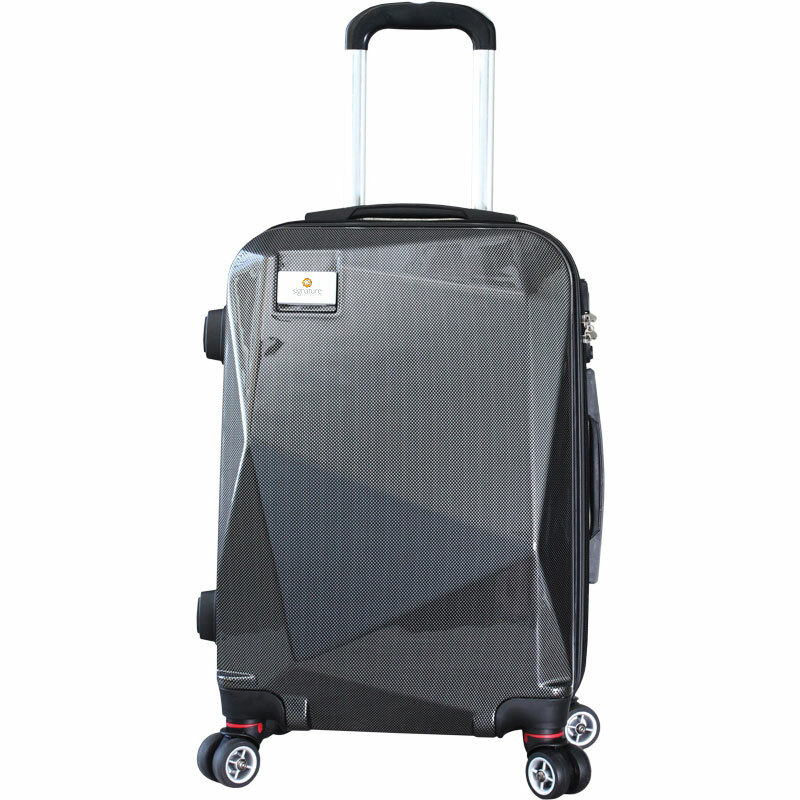 Roll in style with this hard shell suitcase! This 20 inch case has a Poly Carbonate outer shell to protect your belongings, 4 wheel spinner and fully recessed Aluminum pullout handle. Features 2 carry handles, TSA lock system, mesh pocket, and show pocket inside, and clothes travel straps. Style...it's in the bag! 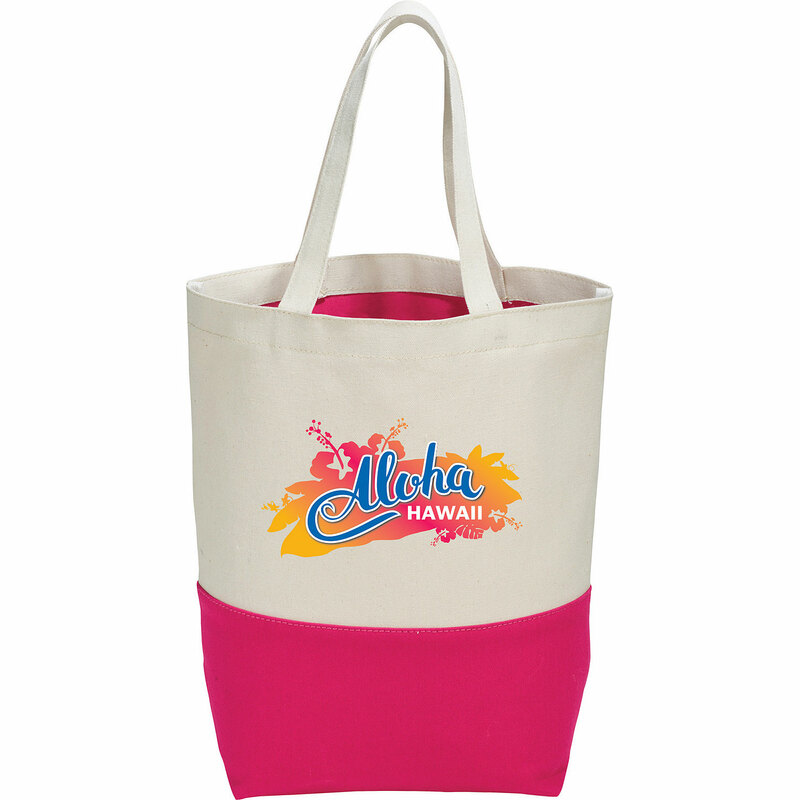 This laminated woven 160 gram polypropylene tote has a unique shape and design to grab attention. Multi-purpose for daily use and activities it features two webbed carry handles and is great for clothes, shopping, and carrying bulky items. 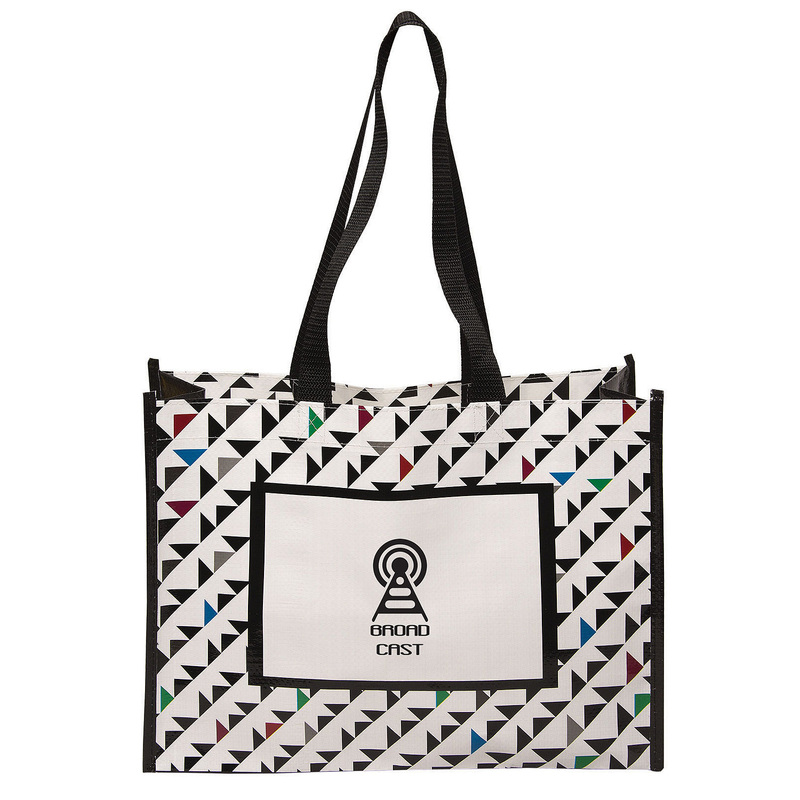 The stylish preprinted geometric patterned tote has a full pattern on back of the bag and white square on the front to show off your logo. Whether you're off to the gym or headed out for the weekend, pack up in style! With a top-loading zippered main compartment it's easy to store all you'll need for your outing. Features end pocket, haul handles, and a padded shoulder strap. Looking for a high end sign up gift at your health club or gym? 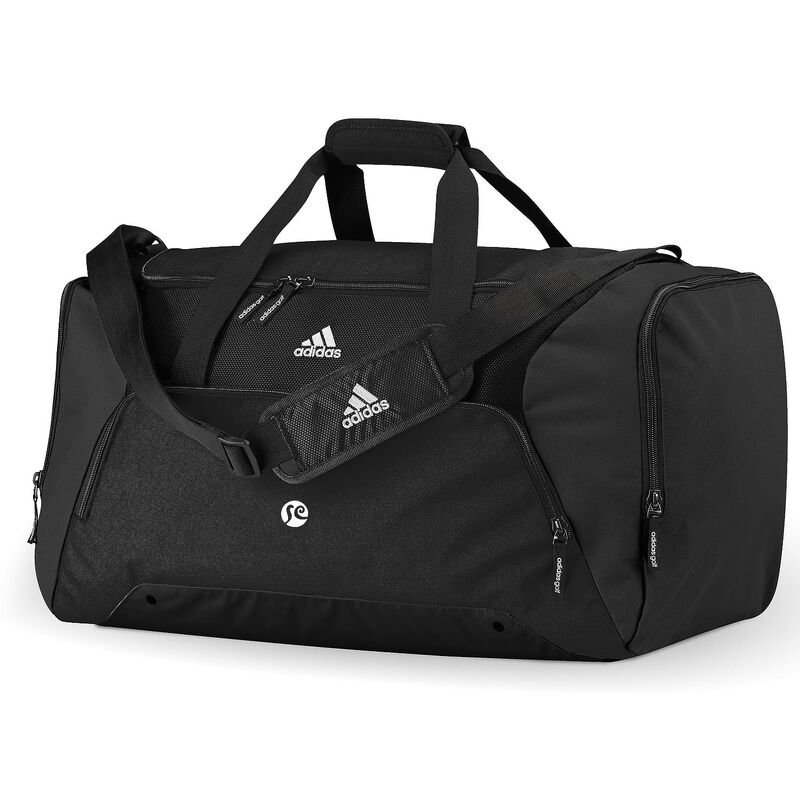 The adidas Small Duffle has a large main compartment to accommodate all of their belongings. Features two side zip-pockets, front zip-pocket, carry handles, and adjustable shoulder strap with padded section. 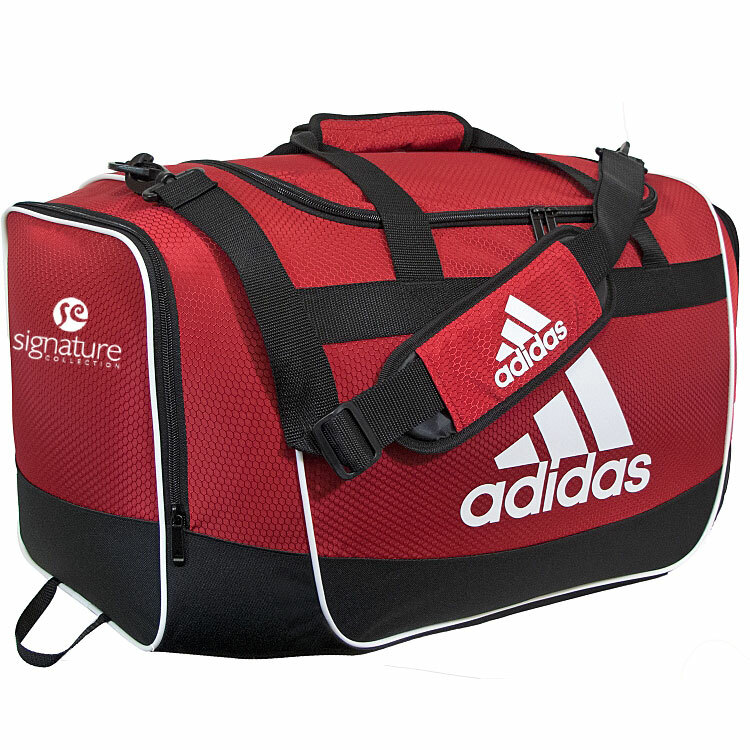 Whether hitting a music festival, the beach, boating, or camping this bag is ideal to keep your belongings dry while you have fun! 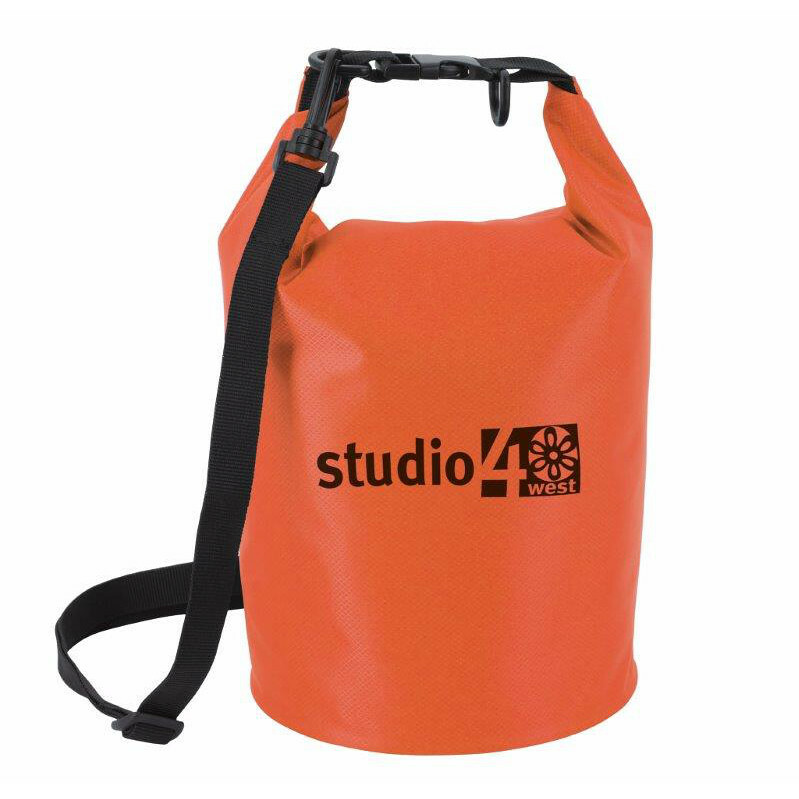 Made from 420d polyester, this 5L capacity bag is great for clothes, cameras and other personal items. Features a fold-down closure that doubles as a handle, shoulder strap, and plastic buckles. The perfect size for oversized loads! 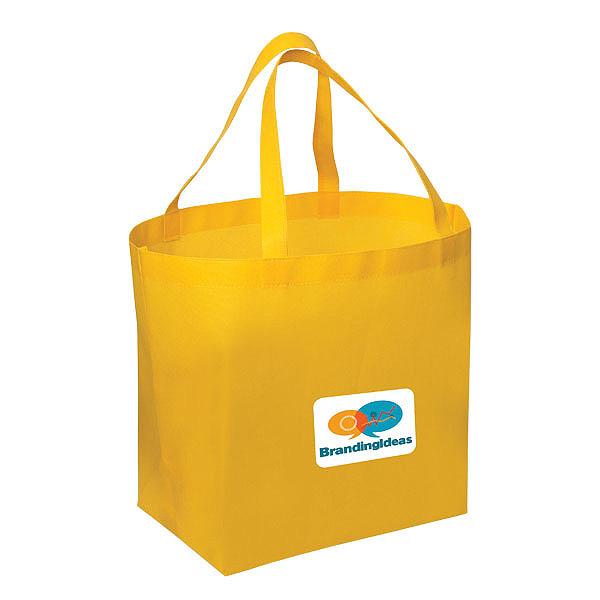 The Ah-Ya oversize tote is made from non-woven 80 gram Polypropylene and offers an extra large storage capacity for your groceries or other supplies. Your colourful logo will be displayed for all to see. Features self-material cross-stitched handles. 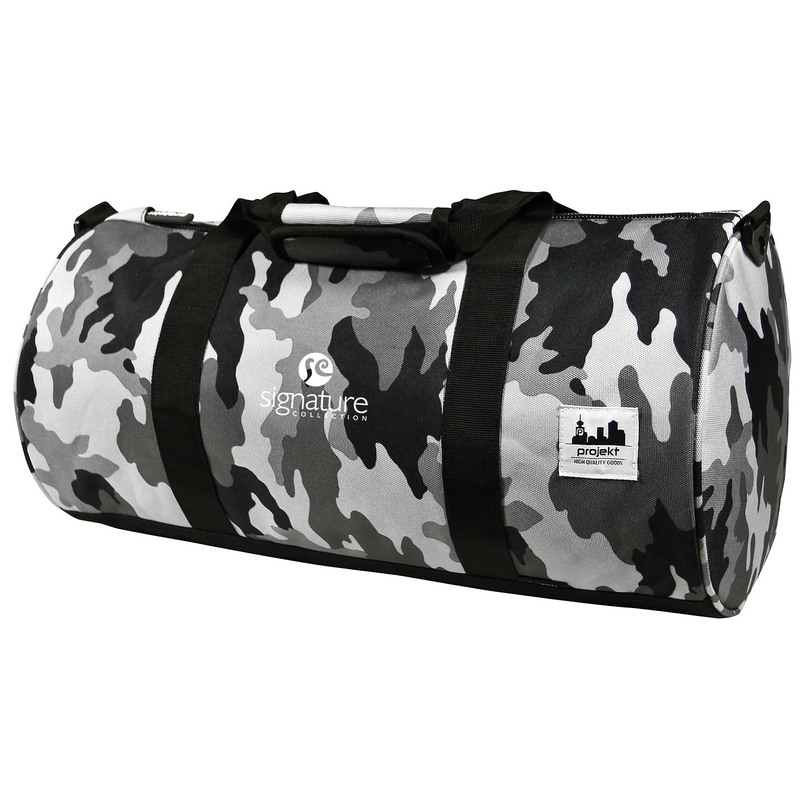 The All Nighter is a roomy duffel that is perfect for a weekend getaway! With a classic barrel shape, the All Nighter features a reinforced bottom, internal zippered stash pocket, reinforced hardware, and custom military grade zippers. 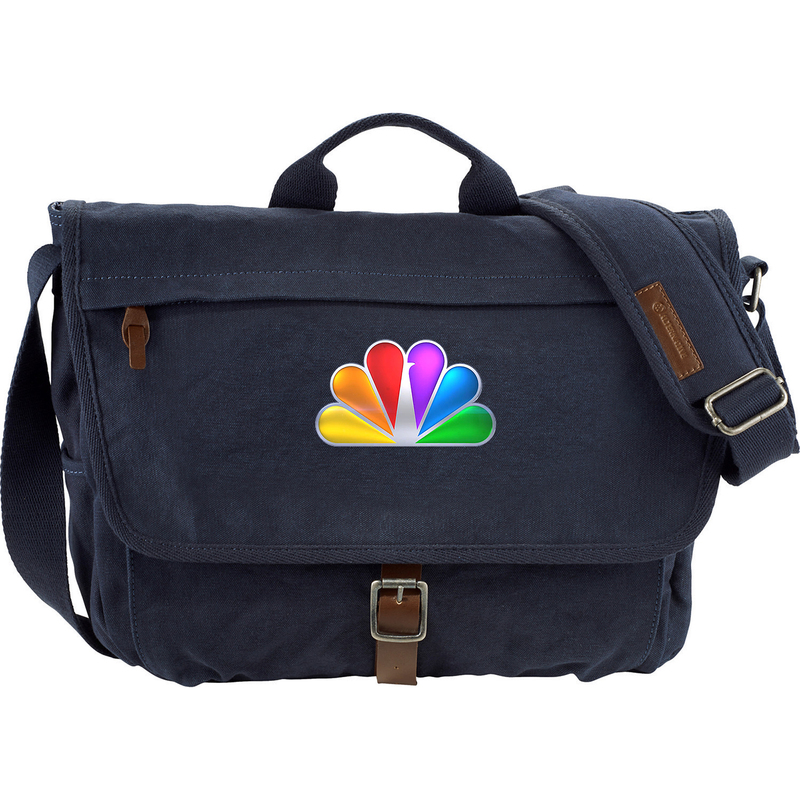 The Alternative® Mailbag Compu-Messenger is a stylish messenger for any attire. This messenger fits laptops up to 15.6 inch and all of your essentials in a timeless silhouette that does not sacrifice form for function. The main compartment is large enough for your laptop and your iPad or tablet in its case. The zippered pocket on the flap and slash pocket underneath gives you plenty of additional storage space, the heavyweight 16oz Cotton Canvas is accented with Genuine Leather details along with custom striped cotton lining on the inside. The removable cotton webbing strap with padded shoulder pad is attached with antique nickel dog clips. 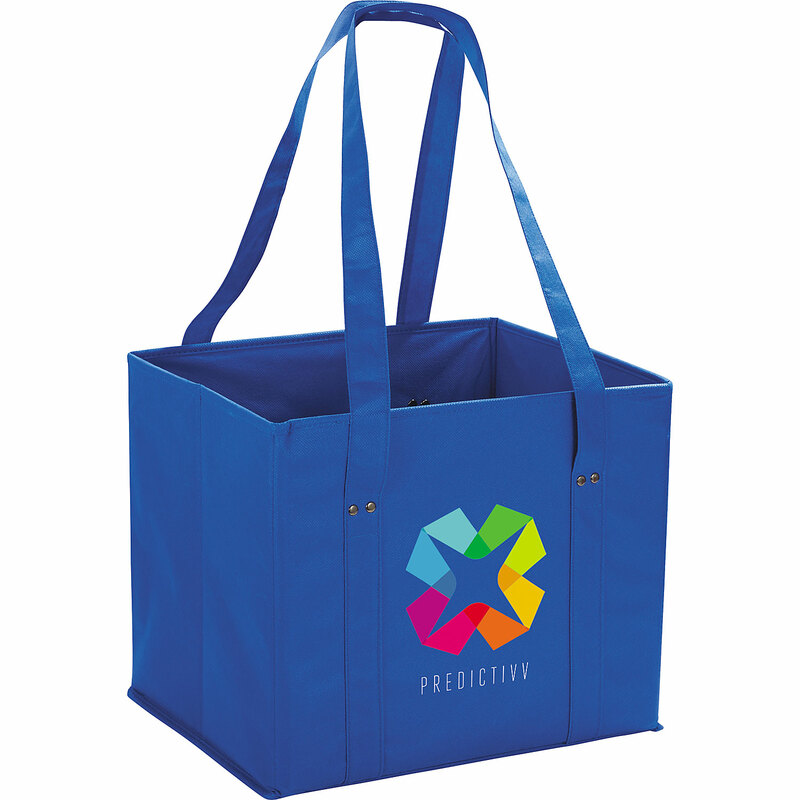 Funky colour blocking makes this tote a standout piece for conventions and tradeshows! Made from 600d polyester, the Annie tote features a small and a large front slip pocket to store documents or a bottle, a zippered main compartment, grommet and stitching accents, and shoulder-length handles. 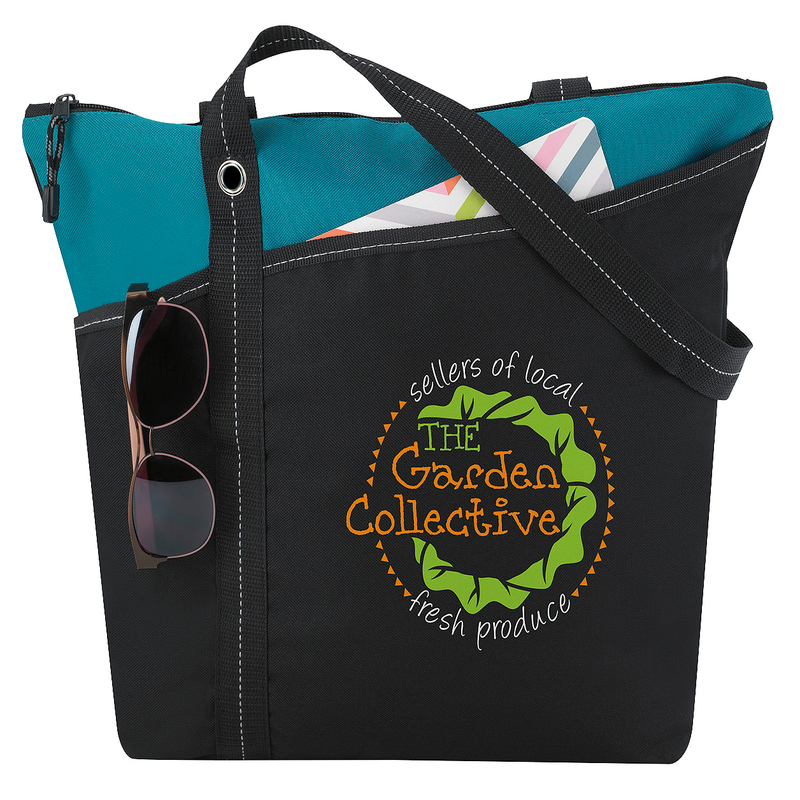 This all purpose tote makes a great bag to fill up with goodies at grand openings! 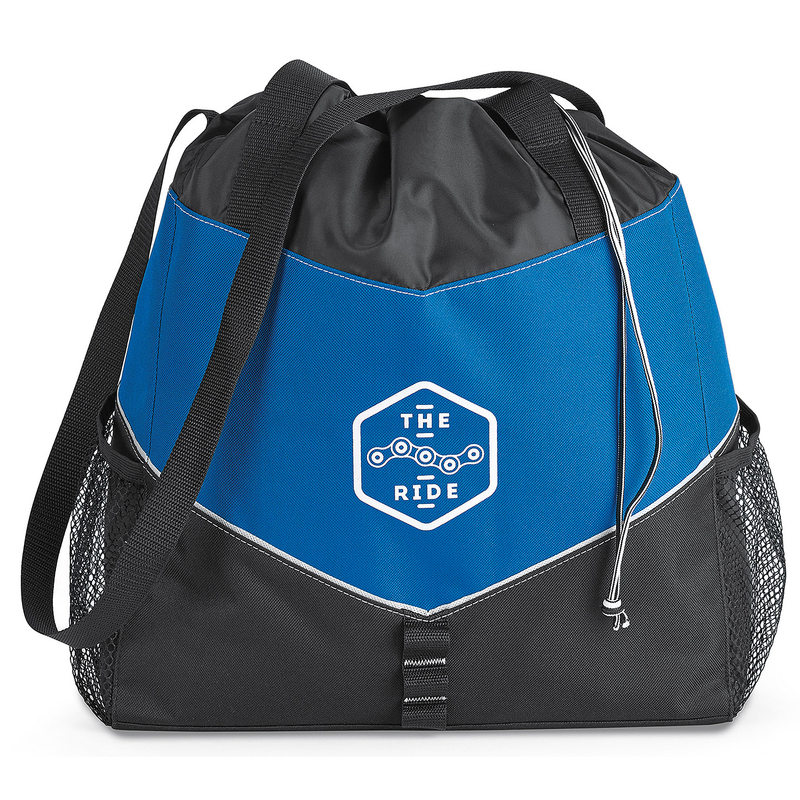 Made from 600d polyester/210d polyester, the tote has a cinch closure with toggles to main compartment, front loop detail ideal for attaching a carabiner, top grab carry handles, side mesh water bottle pockets, and 40 inch shoulder straps.